A short sale and foreclosure expert compiled the top 20 frequently asked questions from buyers and sellers considering a short sale in Florida. A new website is launched to explain the process and where to turn for help. The site contains relevant news stories, live news feeds and helpful links for buyers and sellers. A lot of sellers don't know where to turn for help and this compelled me to put together the website Florida Foreclosure Assistance. Kevin Dickenson is a Palm Beach real estate agent with Prudential Florida Realty and an expert in Florida foreclosures and short sales. Mr. Dickenson is in the top two percent of 64,000 Prudential realtors nationally and has compiled the top 20 most frequently asked questions from buyers and sellers considering a short sale. 1. Are foreclosure websites like RealtyTrac accurate? "I signed up a month to try it out and discovered that homes listed under the bank owned category were often nothing more than contractor or HOA liens," said Dickenson. "The data is seriously flawed in my opinion." 2. What is a short sale? A short sale occurs when a borrower owes more than the home is worth and submits a request to the lender for a discounted payoff. 3. What is a lis pendens? A lender will file a lis pendens (lawsuit) against a borrower typically after 3 months of non-payment. When the suit is filed, the borrower is now in the “pre-foreclosure” phase. 4. What is the best way to buy a Florida foreclosure? If the home is listed on the MLS, find a good realtor who knows the process and use him as your guide. If the home isn't listed on the MLS, the borrower will need to be contacted because they are in control of the property until the home is foreclosed. Keep in mind that borrowers in default may be very difficult to get in touch with. 5. Can a buyer contact the bank to buy the home after the lis pendens is filed? Only the deed holder has the authority to sell the home prior to a final judgment of foreclosure. The lender will not talk to any third party unless the borrower has given the individual written authorization. Another option is for the lender to sell the note, but most banks don't want to be bothered with a single small transaction. 6. Is the bank obligated to accept the contract price agreed to? No. If an owner accepts a short sale offer, the contract MUST be contingent upon the lenders agreement to a discounted payoff and there is absolutely NO guarantee the lender will agree. The lender will hire a real estate agent or appraiser to perform a "broker price opionion" (BPO) to determine fair market value. Be prepared for a counter from the lender if the offer price is low. 7. What does the borrower need to supply to qualify for a short sale? The bank will require a lot more documentation to discount the loan compared to what was supplied to obtain the loan. The lender will typically request two years tax returns, the last 3 pay stubs, a financial statement, four months of bank statements and a hardship letter as a minimum. Banks employ forensic accountants to make sure the borrower is in true financial hardship and keep in mind that a lot of people borrowed money for homes they couldn’t afford using no-doc stated income loans. A borrower who misrepresented income may refuse to provide the required documentation if it proves fraud. The buyers contract should contain a right to cancel clause if the seller fails to submit a complete short sale package to the lender within 10 days. 8. The offer and short sale package was submitted over four months ago and we haven't received a response. What’s going on? Banks are overloaded with short sale requests. If a lis pendens has not been filed, the file is at the bottom of the banks pile. If a final judgment of foreclosure has been filed, this means a court date has been set and the home will be sold at auction in less than 30 days. In this case, the file is at the top of the pile. If the lis pendens is filed, it's in the pipeline and the buyer should be prepared to wait at least 4 months. A good negotiator should follow up with a buyer every two weeks and buyers will need to be patient. 9. Can a Seller accept more than one short sale offer and submit it to the bank? The owner can accept a backup offer, but the new Florida FAR/BAR short sale addendum does not allow the seller to submit backup offers to the bank until the contract in first position is cancelled. Make sure your agent is using the most recent contract package and have an attorney review all documents. 10. Who is taking care of the house during the four to twelve months the buyer is waiting for the bank to approve a Florida short sale? Nobody. Typically, the seller has vacated, the power is off and there is a good chance mold is growing in the home. The pool will turn green and black algae will burrow into the finish. Be prepared for the seller to strip the appliances, ceiling fans and light fixtures. Even worse, some owners will destroy the home out of anger. Make sure the contract provides a right of cancellation. 11. Should a buyer conduct a home inspection after the Seller accepts the offer? No. It's best to trigger all key dates (inspections, mortgage commitment, etc) from the date the bank accepts the offer, not the seller acceptance. It's not uncommon for a house to start growning mold after sitting four to twelve months without air conditioning in Florida. 12. What happens if there is a first and second mortgage? If there are two different lenders, the lender in first position controls how much is paid to the second lender. The second lender must agree to the amount and the deal is dead if they don't. If the second lender doesn't agree, the buyer has two options; (1) buy the second position note or (2) let the first lender foreclose. 13. Is there anything else that can kill the deal while the buyer is waiting for the bank to approve the short sale? A. The IRS can enter the picture and they always take first position (in front of the lenders). B. The borrower could file bankruptcy. C. The HOA could foreclose if the owner is delinquent. D. The bank could refuse to pay the full amount of the delinquent HOA fee, but the buyer always has the option to pay. 14. Can the home be purchased from the court at foreclosure auction? Yes, but court auctions are AS IS and access to the home for inspection purposes may be impossible. The buyer should also hire an attorney to review the title prior to auction day. Buyer beware! 15. The house was sold by the court at public auction and the bank bought it back. Can it be purchased now? Yes. The bank has foreclosed and all liens (HOA, etc) have been eliminated. The bank will appraise the home to determine fair market value and it will be (1) listed on the MLS by a Florida bank owned real estate agent or (2) sold in a bulk offering package to investors or (3) listed with an auction company. The home is now an REO (real estate owned) and will be sold AS IS. There is a strong demand for Florida REO homes and they are usually under contract within days. It's not uncommon to have multiple offers and bidding wars on REO homes. 16. Who pays the realtors commission in a short sale? The bank will pay the real estate commission. If you have concerns, add a clause stating the sale is contingent upon the lender paying the commission and any unpaid property taxes and liens. 17. Will the borrower be liable for the mortgage deficiency? There is no guarantee the lender will waive the deficiency. Some lenders require unsecured notes from the borrower while others waive the deficiency in writing. It depends on the bank, the borrower’s financial situation and how good of a negotiator you hired. Dickenson recommends retaining an attorney with a proven track record to negotiate the short sale. 18. Can the house be rented while the borrower is in foreclosure? Yes, but the owner must disclose the home is in foreclosure. If the lease is executed prior to the filing date of the lis pendens, the foreclosing lender must honor the lease and has the right to evict with 90 days notice. The lender will usually offer the tenant “cash for keys” to vacate after they take possession. If the lease is executed after the lis pendens is filed, the bank has the right to evict the tenant with 30 days notice. If the home is in a community with a homeowners association (HOA), the board probably won't approve the lease if the owner is delinquent on HOA fees. Delinquent owners should consider leasing the property and paying the HOA from rental proceeds. "It's always better to have a tenant in the house rather than letting it sit vacant with the air conditioning off," said Dickenson. If the property is a condo hotel, the rental management agreements usually contain a clause allowing the association to use rental proceeds to pay delinquent fees. 19. Can the HOA foreclose if the borrower is delinquent on HOA fees? Yes, and it's a fairly simple process because there is usually no defense in this situation. "HOA's believe it's easy to rent homes once they take possession, but who's going to rent a house that could be foreclosed any day by the lender," said Dickenson. 20. 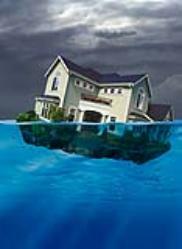 Is there a defense against the lenders foreclosure action? Go to http://www.Florida-Foreclosure-Assistance.blogspot.com and click the free book Florida Defense Secrets in the right sidebar and then retain a bankruptcy attorney to discuss your options. "A lot of sellers don't know where to turn for help and this compelled me to put together the website Florida Foreclosure Assistance," said Dickenson. The website contains informative news stories, helpful links and live news feeds on Florida short sales and foreclosures.